After reading a review of Norwegian author Agnes Ravatn’s The Bird Tribunal, I had to have it. What better way to experience a psychological Gothic thriller than to listen to the British intonations of reader Penelope Rawlins. The hairs on the back of my neck tingled as soon as she started – “My pulse raced as I traipsed through the silent forest…” But, as the plot gained momentum, listening was just too slow for me. I downloaded the book to Kindle, using the convenient cloud feature to switch back and forth from reading to listening on Audible. Secrets are the catalyst; the cautious telling is punctuated with surprising revelations and a nod to Bronte’s Jane Eyre with Sigurd, the brooding handsome landlord with a mysterious past, and Allis, the fragile yet determined heroine. As the story escalates, the outcome seems predictable, yet the ending is still a shocker. After being caught in an affair with her married boss (how they get caught is one of the funniest sections of the book), Allis Hagtorn, a television newscaster, travels to a new job as a housekeeper and gardener on an isolated fjord to recover and atone. Her new employer has Rochester moments of attraction, and eventually the two become lovers. Suspicion lingers in the air with clues from the nasty shopkeeper’s innuendo to the gulls who attack Allis in a scene right out of Hitchcock’s The Birds. Although the translation offers some strange substitutions in the narration, the author is quick to supply contextual meanings, and the story is great fun – whether you hear it or read it. In her prelude to Charlotte Bronte’s Jane Eyre, The Wide Sargasso Sea, Jean Rhys offers the backstory of the first Mrs. Rochester, the madwoman in the attic who destroys Thornfield Hall and herself by fire. Although the book was published fifty years ago, Rhys’s story is a good reminder the classics have hidden secrets: critical analysts sometimes refer to Bertha as Jane’s alter ego. After seeing the book on a list of favorites by a fellow reader, I decided to reread this short book and found myself quickly caught up in its fervor. In Part One, set in Jamaica, Antoinette, the Creole daughter of a white slave owner, later called Bertha by her English husband, tells the story of her sad childhood. Lonely and rejected by her mother, and running wild after her father dies, she lives in poverty until her mother remarries. She survives the fire set by an angry mob of locals, destroying her childhood plantation home and driving her mother to madness, and is sent off to a convent. When she is seventeen, her fortune attracts a tall, second son of an Englishman, with no inheritance of his own. Antoinette has a sense of foreboding and imagines she cannot escape her fate. Part Two begins with Antoinette’s husband narrating the honeymoon, soon to be interrupted by a strange letter revealing the horrors of Antoinette’s background. Never feeling comfortable in the tropical surroundings of his wife’s home, Rochester now becomes cold and distant. In a sad and pathetic moment, Rhys has Antoinette enlisting the voodoo magic of her childhood caregiver to remedy her situation. But her fortune now belongs to her husband, who wants to return to England. In Part Three, Antoinette’s perspective returns, though she is now living as the quarantined Bertha in Thornfield’s drafty attic. This section is the shortest, cleverly connecting to Bronte’s book. Nowhere in the text of her novel does Rhys mention Rochester by name, but she clearly connects to him in the end, as Bertha dreams of setting fire to Thornfield and ending her miserable life. In Jane Eyre, Bertha raves and screams, but in The Wide Sargasso Sea, Rhys gives her a voice. In Rhys’s novel, she is the victim of oppression, treated as if she were a ‘white cockroach’ by her family’s black servants, and rejected by Rochester. Like Jane, she had her own dreams. The Wide Sargasso Sea won the Cheltenham Booker Prize in 2006. The Cheltenham Prize, created as a companion to the Man Booker, identifies who might have won the Prize if it had existed a century earlier. For a list of the winning books, click on Book Awards: Cheltenham Booker Prize. You might find another old book worth a second read. With the mystery of Jane Eyre and the force of a modern romance, Catherine Lowell creates a satisfying plot in The Madwoman Upstairs. Samantha Whipple, new student at Oxford University, is the last living descendant of the Brontë sisters. Home-schooled by her father, Tristan Whipple, a scholar who “spent his entire life trying to deconstruct” the writings of his famous relatives, Samantha, at twenty, is well-versed in the famous novels. 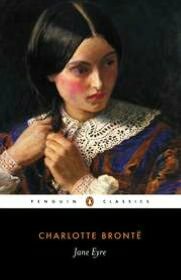 Lowell generously sprinkles excerpts from the well-known Jane Eyre and Wuthering Heights as well as the less famous The Tenant of Wildfell Hall. At her father’s request, Samantha’s residence at Oxford is an isolated tower, often the site of campus tours. When her father’s copies of the Brontë books mysteriously arrive on her doorstep, encrypted with her father’s obscure notes referring to her inheritance, a collection of writings and paintings, including the “Warnings of Experience – that may have been left to her by her father, she enlists the help of her tall, dark, handsome Oxford tutor to help her decipher the clues. If you have never read a Brontë book – or only seen one of the many movies – and are looking for a romantic interlude with the trappings of an intellectual discussion, The Madwoman Upstairs has a story to keep you reading, while you sigh through the passion and try to decipher the mystery. 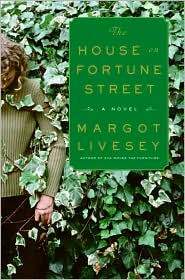 Four lives intersect with secrets and betrayals in Margot Livesey’s The House on Fortune Street. Each character has an affinity to a literary master – Keats, Dickens, Lewis Carroll, and Charlotte Bronte. Their modern lives from London to Brooklyn, carry the weight of these authors’ flaws and the influence of their lives and work. Livesey divides the book into four parts, with each character taking turns as the narrator: Abigail, the owner of the house and a young amoral actress and playwright whose childhood as a virtual orphan has trained her to fend for herself; Dara, Abigail’s friend from college days at St. Andrews, who taught her civility and loyalty; Cameron, Dara’s father who left when Dara was ten years old to protect her from his horrible secret; and Sean, the all-but-dissertation candidate at Oxford, who abandons his wife and his research on Keats to write a book on euthanasia when Abigail decides to charge him rent for living with her. Sean quotes Keats and imagines parallels to his own life; Abigail’s early days mirror Dickens’s “boyslaughter” life – when part of his childhood was destroyed by the irresponsibility of his parents; Cameron, an avid photographer of young girls, sees himself in Lewis Carroll’s famous pictures of Alice; and Dara becomes a Jane Eyre, betrayed and vulnerable – but not as strong as Bronte’s literary heroine. Each section ends with a cliffhanger, but the fortunes of all in the house come together in the end – tragically. Not an uplifting tale, but Livesey’s language is witty and compelling and her literary allusions informative. I found this author when I read her children’s book, The Flight of Gemma Harding, with lives similarly influenced by circumstances and just plain luck. A ten-year old orphan is adopted by her mother’s brother. When her uncle dies, her cruel aunt mistreats her, and her mean cousins find every opportunity to torment her. Finally, she is sent off to a boarding school where her life becomes even more miserable as she finds herself an indentured servant to earn her board and tuition. Eventually, she becomes the governess to a precocious young girl in the care of her handsome and rich benefactor. 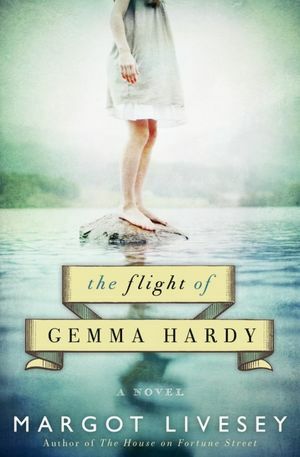 It is no accident that Margot Livesey creates a modern-day Jane Eyre in her gothic romance – The Flight of Gemma Harding. Like Bronte’s heroine, Gemma is feisty, smart, and determined to have a better life. Fans of Jane Eyre will recognize familiar scenes, but Livesey carefully modernizes the tale with clever historical updates. Gemma yearns for a university education (doubtful that Jane ever could aspire to that in the 1840s), but most elements are the same – except for one important difference. Mr. Sinclair is not Mr. Rochester, despite his similar handsome and rich attributes. When 18-year-old Gemma flees on her wedding day from 41-year-old Hugh Sinclair, no lunatic wife haunts the attic. His sin is still deceit, but Gemma’s perception makes it seem worse. He suddenly is no longer the idealistic hero she had imagined. No spoiler here, but the revelation of Sinclair’s fumbling left me yearning for the brooding Rochester. As the story continued, I found myself checking my memory – missing the original. Livesey focuses on Gemma’s coming of age tale – making the book more readable to its young adult audience. In Livesey’s version, the heroine finds her heritage and her fortune in Iceland. And, of course, lives happily ever – after she grows up a little. The ending is not as dramatic as Jane Eyre, but retains the elements of romance and possibilities. I remember listening to an updated song with my parents as they remembered its original version – so much better, they thought. Having never heard any other, I did not understand their anxiety – until later when I heard theirs. The Flight of Gemma Harding has all the romantic elements for an easy read, and Livesey’s eloquence kept me reading to the end. But will readers who have never read Jane Eyre know the difference? Will they know what they are missing?